A community archaeological dig has taken place on the site of the famous Rockingham Pottery in Rotherham. The excavation at Waterloo Kiln in Swinton forms part of "Archaeology of the Dearne" – a project commissioned by the Dearne Valley Landscape Partnership (DVLP) with support from Historic England. 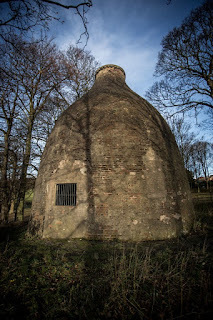 Waterloo Kiln is owned and managed by Rotherham Council and is the site of Swinton's Rockingham Pottery. The pottery was world-famous for its porcelain and earthenware. 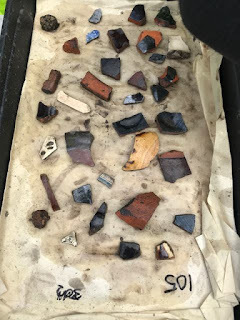 Specialist archaeological and heritage practice, ArcHeritage, coordinated the excavation works having previously opened the trenches on site to reveal the remains of a kiln structure. Volunteers from the community, members of local archaeology groups, and school children from Rawmarsh Community School in Rotherham were invited to investigate the site further. Sally Gawthorpe, community officer at the DVLP, said: "We're really excited to have the opportunity to work with ArcHeritage and the local community to explore this iconic pottery site in the Dearne Valley. Whilst the surviving Waterloo Kiln reveals a snapshot of the former Rockingham Pottery works, the site has so much more to reveal!" The factory produced fine porcelain which was shipped worldwide during the 19th century. The Swinton Heritage group reports that land was rented from Thomas Watson-Wentworth, 1st Marquis of Rockingham back in the 1750's. By 1801, a change of ownership saw production almost grind to a standstill until skilled potter John Brameld appealed for help to Earl Fitzwilliam, the 2nd Marquis of Rockingham who provided a huge loan of £2,000 to allow John Brameld to buy himself out of the partnership and take over the running of the pottery. The premises were enlarged, and with the earthenwares and porcelain products on display at nearby Wentworth Woodhouse, business was booming. Skilled artists joined the company, who began to export overseas and opened a showroom in London. In 1815 the Waterloo Kiln was built and named in commemoration of the Duke of Wellington but being artists and not particularly good businessmen, the firm had to be supported by Earl Fitzwilliam again. One example of the firm's predicament was when King William IV ordered a full dessert service. The cost of producing this became very excessive and whilst glad of the exposure, one big problem was that the King took delivery but never paid for it. By 1841, the third Earl seized the company's assets to pay off their debts. The works closed in 1842 and by 1910, many of the buildings were gone.